Buy green power or ask your utility to offer it. 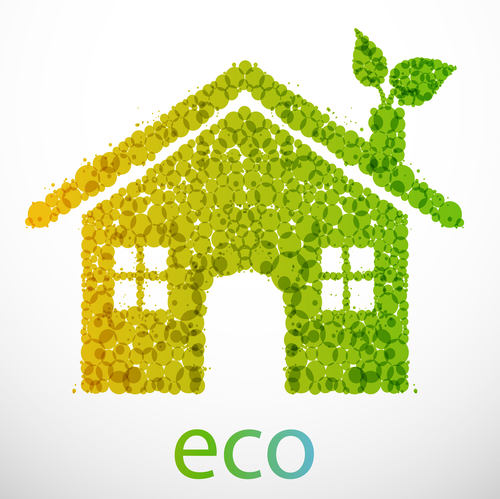 The typical U.S. home consumes ~10,000 kilowatt-hours/year. Using electricity that is generated from renewable energy sources such as wind and the sun could reduce the annual CO2 emissions by 22,000 lbs. Push an electric mower or better yet a reel mower rather than a gas model. CO2 emission reductions: 80 lbs/yr. If you do use a power mower, make sure it’s a mulching mower to reduce grass clippings sent to landfills. Say no to carpeting your home. CO2 emission reductions: 4,000 lbs/800 sq. ft.
Activate the power management features on your computer and monitor. Unplug laptops and turn off equipment and lights at the end of the day. Purchase ENERGY STAR qualified office equipment, such as computers, copiers, and printers, as well as lighting, heating and cooling equipment. These products use 30-75% less electricity. Obtain ENERGY STAR certification for your office building. ENERGY STAR-labeled buildings use about 35 percent less energy than traditional buildings. Buy Smart – before buying or renting a vehicle, check out EPA’s Green Vehicle Guide at: www.epa.gov/greenvehicle. This resource provides information on emissions, fuel economy, and performance. Consider using renewable fuels. Use biodiesel or ethanol to fuel your vehicle or drive a hybrid. CO2 emission reductions: 50 lbs/100 miles driven. SOURCE: Orange County’s ORANGE to GREEN website.